Do you need to check your notes before a customer meeting? Or do you have to send a sales quote while on the go? 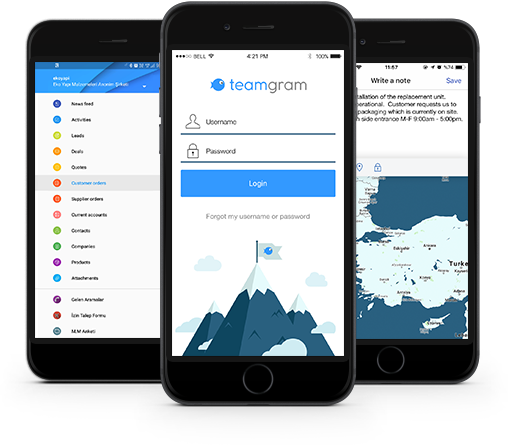 TeamGram Mobile delivers full access to everything TeamGram for desktop has to offer. Geotag your notes and activities. See your customers on a map. Scan business cards & barcodes. Build & send quotes on the go.